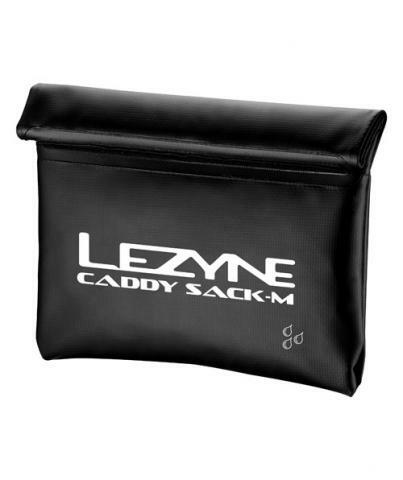 A simple, water resistant sack for various ride necessities. Simple, reusable sack holds various ride necessities. Durable materials, welded seams and roll-top closure provide excellent weather protection. Large opening offers quick and easy access to contents. Available in Small and Medium sizes. Super high-performance LED cycling light with excellent night riding capabilities. Compact, durable and heat-dissipating CNC machined aluminum construction. Three market-leading, ultrahigh-output LEDs delivering up to 1,200 lumens. Optimized Constant Lumens system maintains steady lumen output throughout battery cycle. Optional Overdrive Race Mode toggles between Overdrive and Economy modes only. Mode Memory function returns to selected mode after turning off. Enhanced MOR (Maximum Optical Reflection) lens with built-in side visibility. High-performance multi-purpose LED cycling light. Compact, durable and heat-dissipating extruded and machined aluminum body. Two market-leading, ultrahigh-output LEDs delivering up to 900 lumens. Optimized Constant Lumens system maintains steady lumen output throughout battery cycle. Optional Overdrive Race Mode toggles between Overdrive and Economy modes only. Mode Memory function returns to selected mode after turning off. Enhanced MOR (Maximum Optical Reflection) lens with built-in side visibility. High-speed 2 Amp USB charging capabilities (with compatible wall adapter). High-performance multi-purpose LED cycling light. Compact, durable and heat-dissipating extruded and machined aluminum body. Ultrahigh-output LEDs delivering up to 600 lumens. Optional Overdrive Race Mode toggles between Overdrive and Economy modes only. Mode Memory function returns to selected mode after turning off. Enhanced MOR (Maximum Optical Reflection) lens with built-in side visibility. High-speed 2 Amp USB charging capabilities (with compatible wall adapter). Advanced Li-Ion battery for superior run time. The Super GPS is truly a super computer. It simultaneously utilizes ANT+™ and Bluetooth® Smart, allowing for synchronization with iOS/Android devices, power meters, heart rate straps and speed/cadence sensors. Notification of incoming phone calls, texts and emails (with actual message text) are displayed on the computer’s large, sharp monitor, along with power, heart rate and all other important ride details. 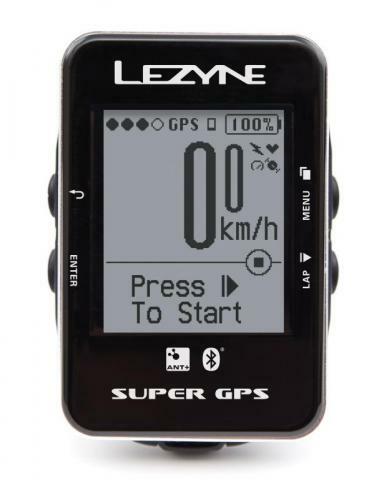 Advanced GPS information provides reliable and accurate ride data and is easily navigated with four buttons. 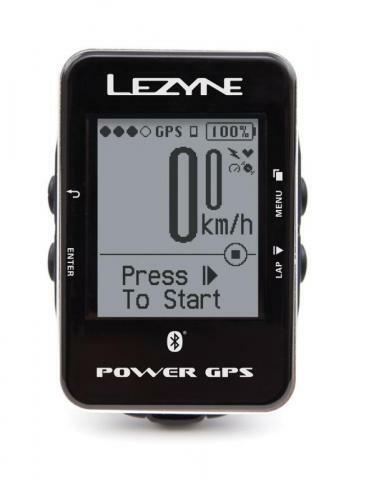 The Power GPS is a robust cycling computer which will sync with Bluetooth® Smart enabled iOS and Android devices. Once paired, the Power GPS will briefly display incoming texts, emails and phones calls. Now cyclists can conveniently stay updated and connected with family, work and friends while out on a ride. A large, sharp display shows up to four data fields, with the bottom field formatted for auto scrolling or manual navigation. Accurate and reliable ride details are displayed courtesy of an advanced GPS/Glonass chip that receives both US and Russian satellite signals. 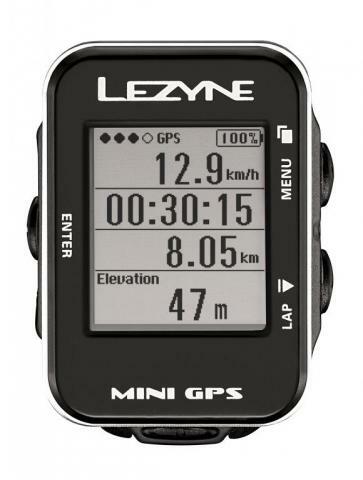 The elegant Mini GPS is compact, powerful and ideal for the cycling minimalist. Simply turn it on, press start and go for a ride. Essential ride data is presented on a sharp, easy to read, semi-customizable display and logged for later analysis. The display also features auto-scrolling ride info, custom lap presets and an optional auto start/stop function. An optimized GPS recording system stores up to 100 hours of data and can be easily accessed via flash drive technology. The Lezyne Micro Drive Front is a 150 lumen light that features a lightweight and durable CNC machined aluminum body with Side Visibility cuts, and MOR Optics. The Intelligent Power Indicator button allows the user to check the power level at any time. The Composite Matrix end cap conceals the integrated USB stick for cable-free recharging of the Li-ion battery (non-replaceable). The light easily attaches to a wide range of handlebar diameters via a snap-fit Composite Matrix mount that is secured with a multi-position, silicon rubber strap for tool-less installation.